Congratulations Natalie! 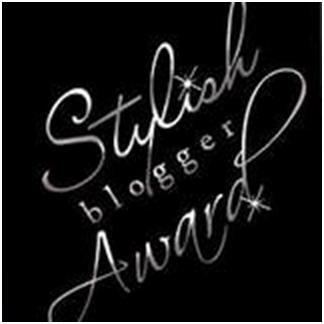 Allie nominated you for the Stylish Blogger Award! Here’s what she has to say about you; “athletic,balanced & enthusiastic to help others reach their goals”. I now have a handful of things to reveal about myself but that’s ok because they are very creative and fun questions. Favourite “get pumped up” song? Hehe, I thought this was my dirty little secret but I guess I have to spill it. Stronger by Brittany at the end of a run, Eminem because nearly every song is the perfect beats per minute for running, Single Ladies because it was repeated on my marathon playlist at least 5 times and it brings me back to that day. Turns out the thing I really need to get “pumped up” for is running! Hmmm. 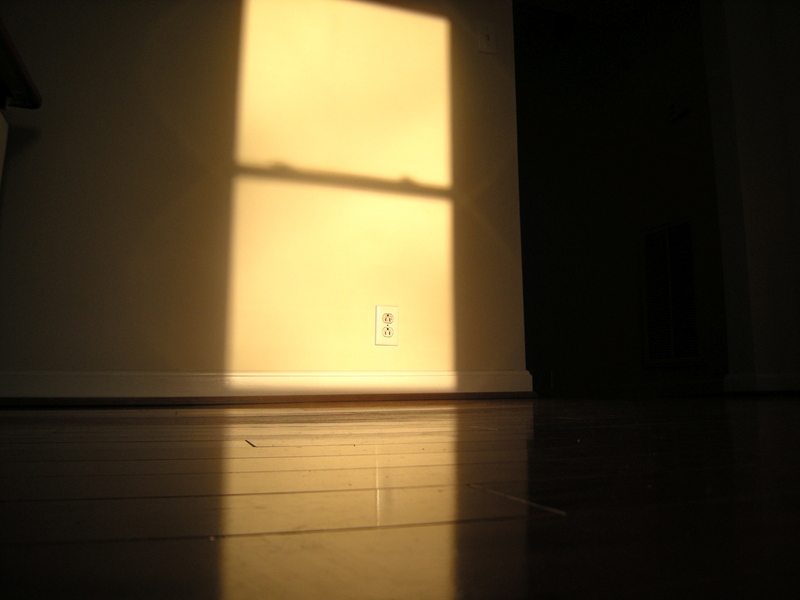 On sunny mornings there is a stream of sunlight that comes in through the dining room window and creates a rectangle of light and heat on the floor. Sometimes I just sit or lie in that little rectangle. Curling up in Tate’s arm crook brings me a comfort I can’t find anywhere else. When it comes to food, I think everyone should have one “guilty pleasure”: what’s yours? I understand the question but let’s change the phrase “guilty pleasure” to ” indulgence”. My favorite indulgence is wine and a cheese tray, preferably eaten outdoors, something you can nibble on for hours over great conversation. When you’ve had a truly rough or draining day, what is your go-to remedy to care for yourself & get centered? A bath, a glass of wine, or slightly trashy (mindless) tv. Or all three! Do you have any tips for avoiding too much sodium/sugar consumption? Simple, eat unprocessed foods and cook for yourself. Also, choose your salt/sugar sources wisely. At home use a high quality mineral salt like Real Salt instead of Kosher salt, this way you will be getting a dose of important minerals with your sodium. I love spice and find that I can often add a ton of black pepper or cayenne powder to a dish instead of more salt. As for sugar, prioritize your favorite sweet foods and don’t eat the rest! Like salt, try to get some quality nutrients with your sugar, like making cookies with whole wheat flour and throwing in some flax seeds. What do you want to “be” most in life? In all seriousness, I want a lifestyle that affords me freedom and creativity. I want a life where I can share my passion/knowledge for whole food nutrition and exercise. I want a life full of travel, friends, and family. What do I want to “be” most in life? Me! Thanks for sending in those questions, I am honored that you would want to know more about me. Sorry for the delay, I was knee deep in paint! I have undertaken the task of sprucing up the upstairs of the clinic and have a deadline of February 1st to finish! Yikes! I have never considered myself particularly stylish. In fact, one of the most memorable parts of my sister’s (and maid-of-honor) rehearsal dinner speech was when she said she has always admired my style and loves getting my hand-me-down’s. She’s the big sister and I always thought that she was the stylish one! Thanks Dana! It is so sweet of you to think of me! 3. Award 10 recently discovered great bloggers. 1. I was born in a yurt on a farm in rural West Virginia. 2. I used to be embarrassed by the food in my house when friends would come over. Friend “What was that white stuff we ate for lunch”. Me “I don’t know, my parents are weird!”. Secretely I always knew it was tofu and I loved the stuff. Now I love introducing people to new foods and the less main-stream the better! 3. I secretly wish I was a jock. But I am SO not. 4. When I was a little girl I wanted to be a writer, singer, or visual artist “when I grew up”. I wouldn’t subject anyone to my voice but ironically the writing and visual art is coming to fruition through this blog! 5. My comfort meal is baked sweet potato, tofu with nutritional yeast, and steamed greens. Seriously. For number’s 6 & 7 you get to ask the questions! What do you want to know?! And to pass it on, here’s my top 5. Help me out with this one and nominate your favorite newly discovered blogger to receive the award for the other 5 slots. Allie, you are my kind of style, athletic, out-doorsy, wholistic. Cara, nice work keeping it healthy and stylish all the way in Korea! Angie, your generosity is always in style! Rosie, you are not only stylish but a cville girl at heart? You got my vote! Joanne, because, damn women, you deserve an award for keeping up with your life! Do you have any nominees who deserve to be on this list? Send ’em my way!